Being Ruby on Rails experts, we are acutely familiar with the Active Record pattern and more specifically the active record gem that is the Rails default ORM. As an iOS developer, I personally am acutely familiar with some the pain points that can be associated with using SQLite data storage directly in iOS applications. And since we’re Open Source Software advocates and both heavy contributors to and consumers of OSS libraries, we created MojoDatabase to help ease some of those pain points. There are several iOS ORM libraries for SQLite available. Each has a different take on the process, but I’d like to introduce you to MojoDatabase, and give a few of the key features available. First, let’s take a look at some history and point out some of those pain points we mentioned earlier. A typical tutorial for SQLite + iOS will include all kinds of boilerplate code like the following. Yikes, all that code just to open a connection to the database and execute a single query? No fun for anyone. This also assumes you have created your SQLite database file outside of the project scope and brought that file into the application environment. It provides no mechanism for schema maintenance and/or alterations. It clearly doesn’t provide a nice mechanism for connecting to the database, querying the database, or iterating over result sets from a query. To make queries from other source files, you need to reopen your DB connection and go through the whole process again (assuming you don’t have a global connection handle available somewhere). 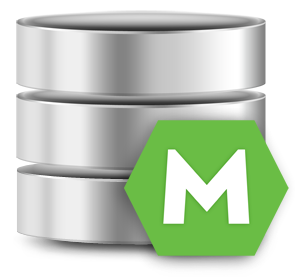 MojoDatabase consists of three main components: AppDatabase, MojoDatabase, and MojoModel. AppDatabase is where you manage your DB schema and place your schema migration steps. MojoDatabase is the actual DB object you interact with. MojoModel is the parent class of objects that mirror your DB tables. Installing MojoDatabase is simple. Just drag the MojoDatabase files into your Xcode project, making sure to “copy files to destination” when prompted. This will initialize your database (creating it if the DB doesn’t already exist) and update the database to the current schema version defined in AppDatabase.h. Maintaining your applications schema is handled inside AppDatabase.m in two locations: the runMigrations method and the associated SQL table statements. When you need to modify your databases schema, simply create a new method that alters the schema on the client device. Now, when your application is launched, if the client device’s DB is pre-version 4, the migration step will be run and the client DB will be up-to-date. This will allow you to easily version your applications database over numerous updates of your application. Once again, MojoDatabase is a public OSS project available on GitHub. We love any feedback and or contributions. Download it, use it, and let us know what you think.